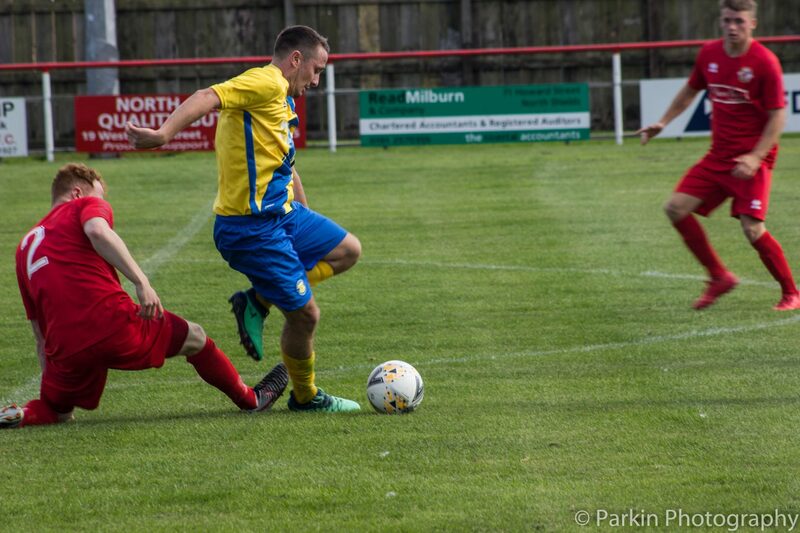 Stockton Town tasted defeat for the first time in the league this season as they succumbed to a 3-2 reverse away to North Shields. Despite a bright start, The Anchors trailed by two goals at half time. Two second half Mikey Roberts goals sandwiched a scrambled finish from Gary Day and the hosts held on for their first win of the season. 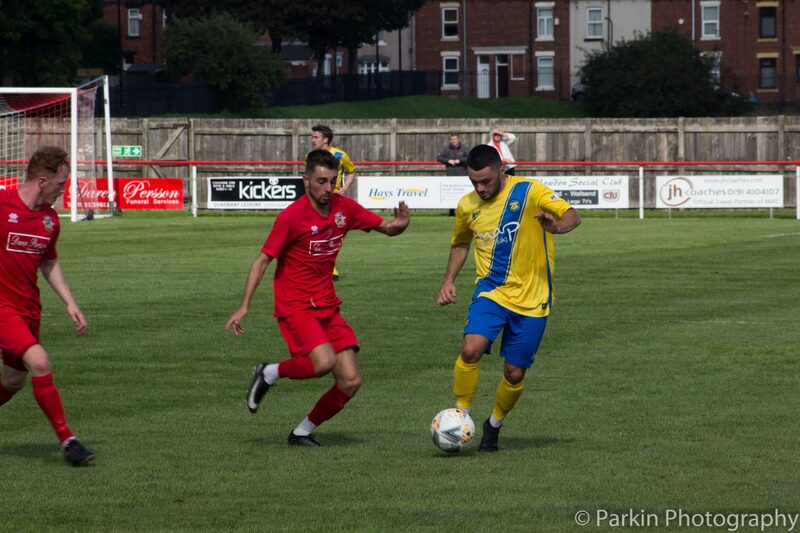 With several players unavailable, coaches Jason Hamilton and John Fielding, in their last game in caretaker charge, were forced into three changes. 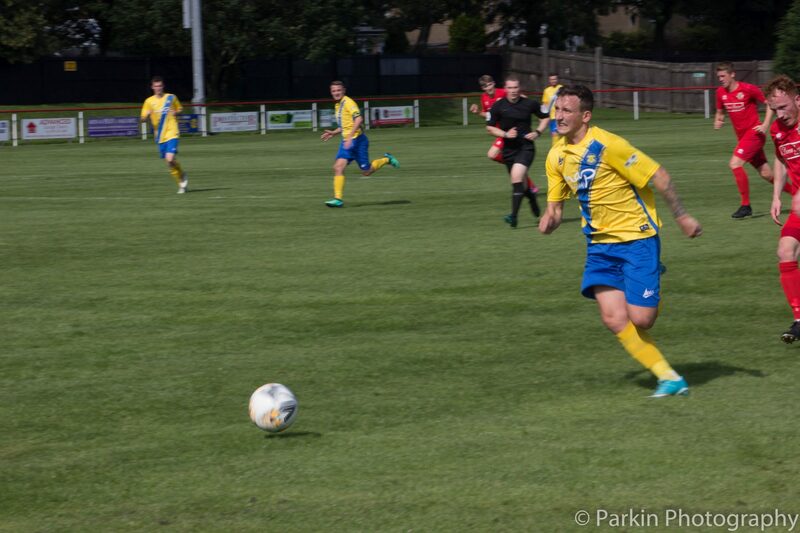 James Ward captained the team on his return to the starting eleven and he was joined by Joe Carter and Matthew Garbutt coming into the side. 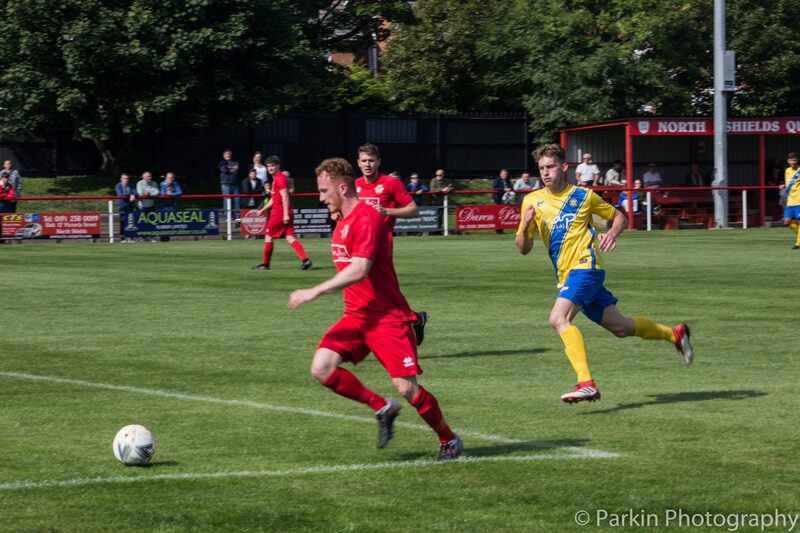 Such was the extent of the selection headache facing Hamilton and Fielding, midfielder Max Craggs was forced to drop into the back three to fill the void left by the unavailable Adam Nicholson and Tom Coulthard and suspended Dale Mulligan. Stockton started the game much the brighter of the two sides and could have led inside the opening ten minutes. 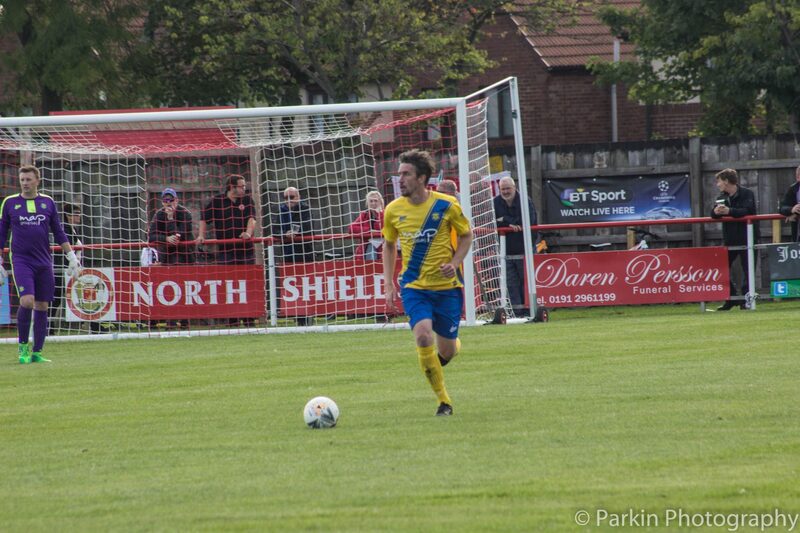 North Shields were unable to clear their lines and a scramble in the box eventually found Sonni Coleman. 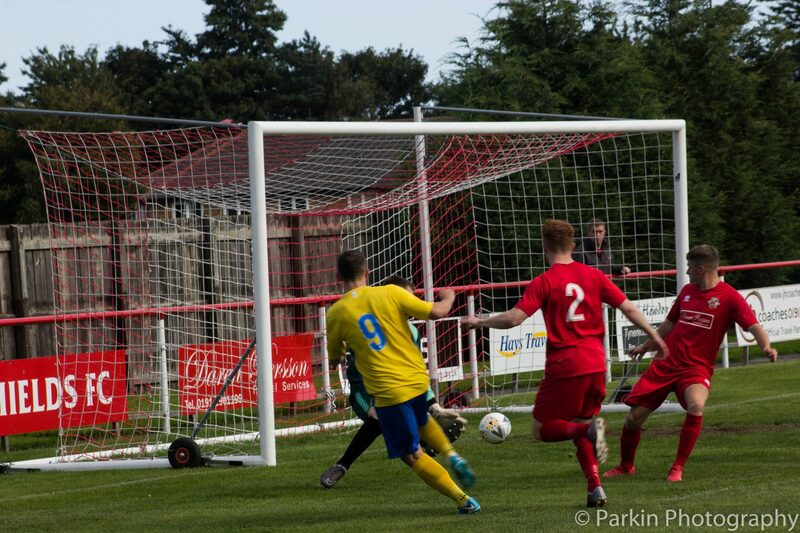 The striker shot instinctively but failed to connect properly and his effort was straight at Greg Purvis. Less than a minute later, The Anchors would come within inches of the lead. 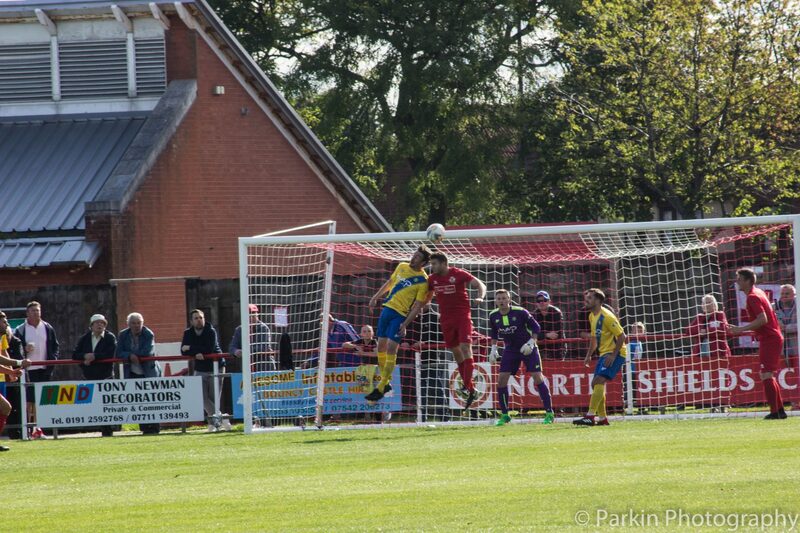 Despite his deeper role, Craggs would still provide a threat from set pieces throughout the afternoon. 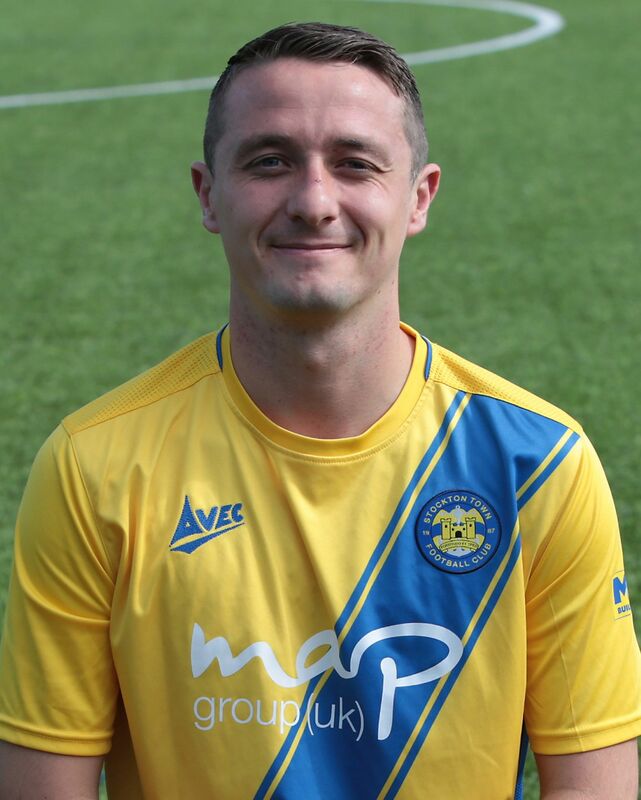 In the eighth minute, he struck a wonderful free kick from 25 yards, which had Purvis beaten, but was denied by the crossbar. 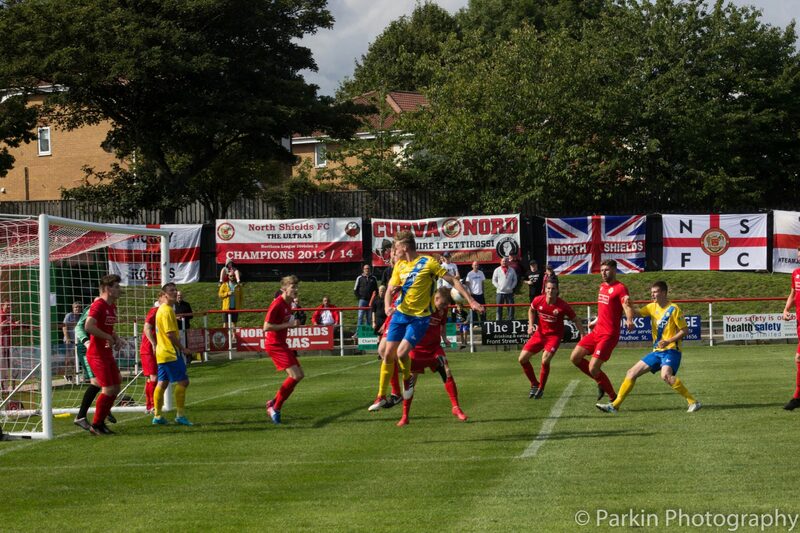 Another Craggs set piece gave Stockton the chance to break the deadlock after a quarter of an hour. His inswinging corner from the left eluded everyone and bounced in the box but no yellow shirts were on hand to turn in the opening goal. The deadlock would be broken on 23 minutes and it was the hosts who took the lead against the run of play. After Paul Robinson had stolen the ball off Joe Carter from Michael Arthur’s goal kick, North Shields worked the ball to Jack Cooper just outside the Stockton area. He shot towards goal and his effort slipped through the fingers of Arthur, a moment the stopper will want to forget. 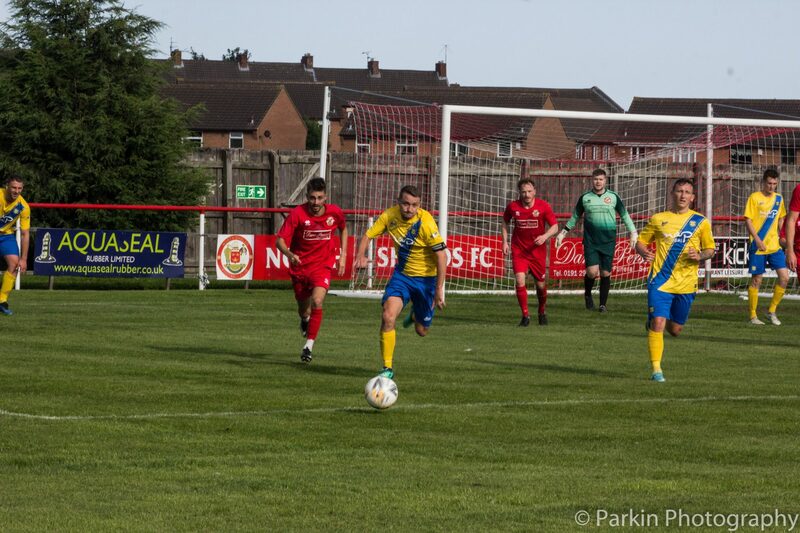 Stockton responded well to the disappointment and could have levelled on the half hour when another Craggs corner caused problems in The Robins’ box. Alan Cossavella rose highest to meet the testing delivery but he was unable to keep his header down and failed to test Purvis. The veteran defender would make a crucial contribution in his own box just three minutes later. 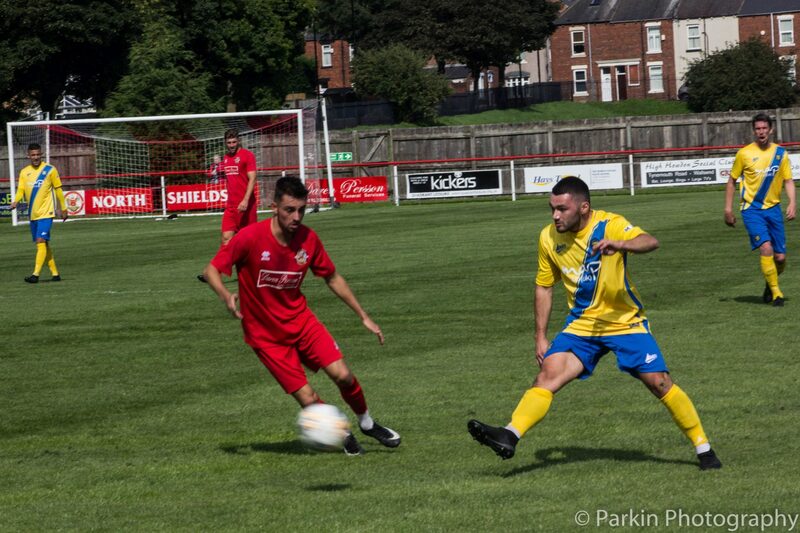 Lewis Suddick and Jordan Summerly combined with great effect before the latter slid the ball through to goalscorer Cooper. He looked certain to double his tally but a terrific last ditch challenge from Cossavella denied Cooper and kept his side’s arrears at one. 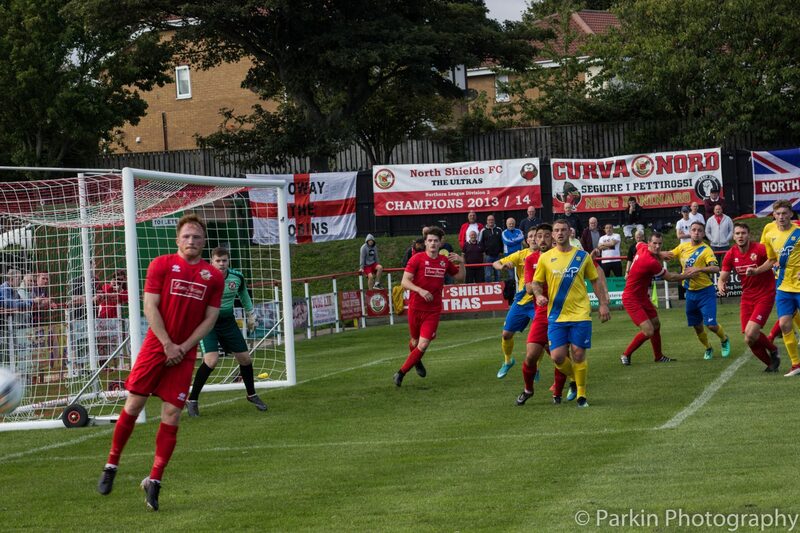 Sonni Coleman pressures the North Shields defence. The hosts would double their lead seven minutes from half time with a truly stunning goal. 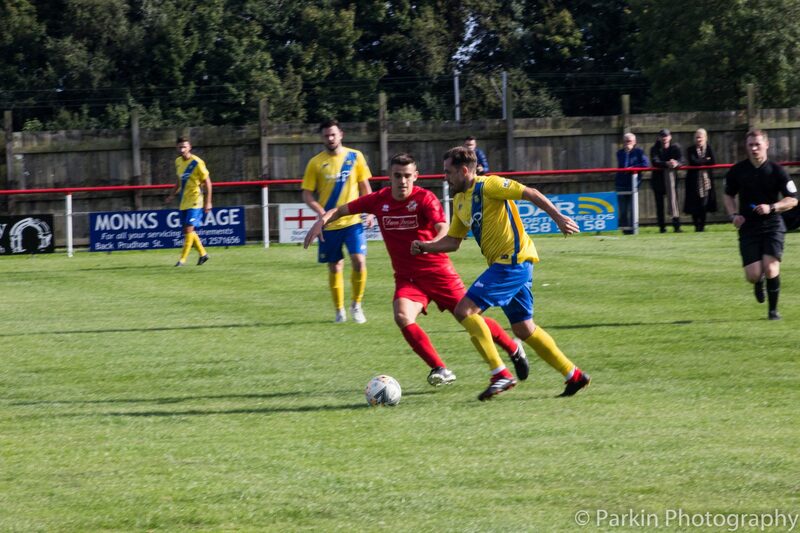 Robinson’s deep cross from the left was headed back across goal by Suddick towards Craig Spooner. 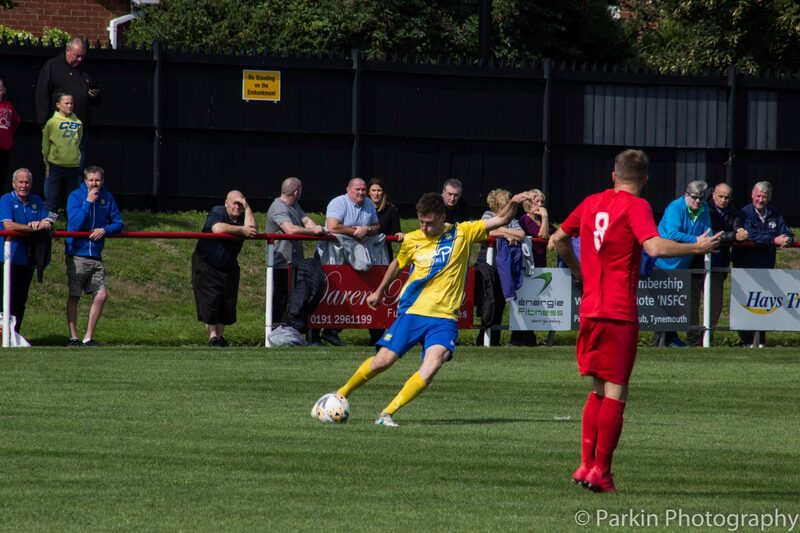 The midfielder wasn’t pressured and he hooked a volley goalwards that nestled into the top corner to send his side into the interval with a two goal lead. The Anchors started the second period staring down the barrel of their first league defeat of the season but their caretaker coaches couldn’t have asked for a better response from their side. Within three minutes of the restart they had halved the deficit through Mikey Roberts’ fourth goal of the season. With Craggs dropping into the defence, The Anchors looked to utilise his range of passing and his sprayed diagonal balls to the wing backs turned defence into attack with great regularity throughout the contest. This was one such occasion and he found Ward, who had moved to wing back after Garbutt had gone off injured just before half time. The stand-in captain showed dogged determination to retain possession before playing in Roberts. The in-form forward made no mistake with the finish and The Anchors were back in the game. The goal didn’t deter the home side from pressing and they had a glorious opportunity to restore their two goal lead five minutes later. Spooner’s through ball evaded James Risbrough and found Suddick. 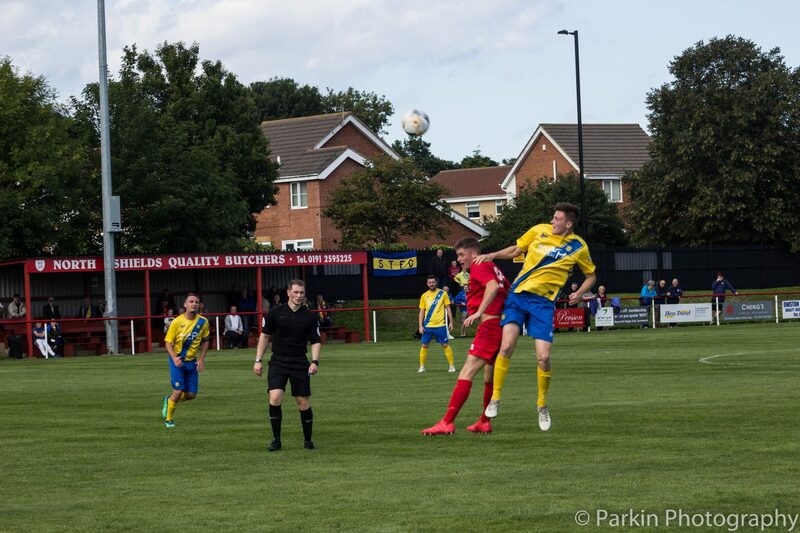 The winger pulled the ball back to Gary Day who staggeringly fired wide from close range with the goal at his mercy. He could have paid the price moments later at the hands of his own teammate. 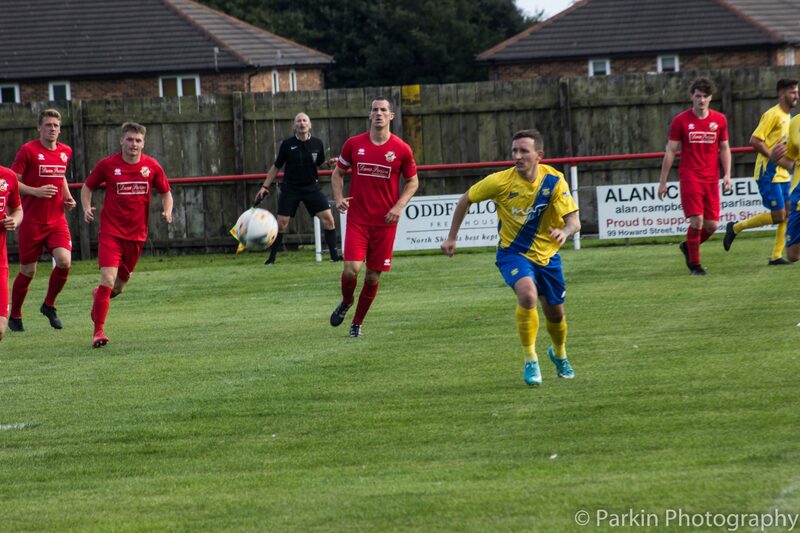 Carter won the ball from a North Shields throw in and played a slide rule ball to release Roberts down the right. The forward squared a teasing ball across the goal and full back Jack Dennison somehow managed to divert the ball over his own bar from two yards out when an equaliser looked certain. 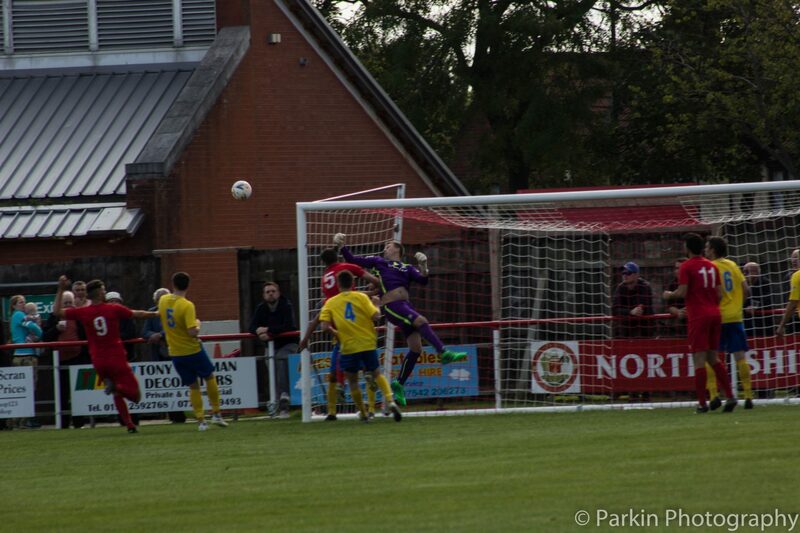 Stockton continued to press but the equaliser wouldn’t materialise. They would come close ten minutes from time when another Craggs set piece wreaked havoc in the home box. Craggs’ inswinging corner found Nathan Mulligan in the area. 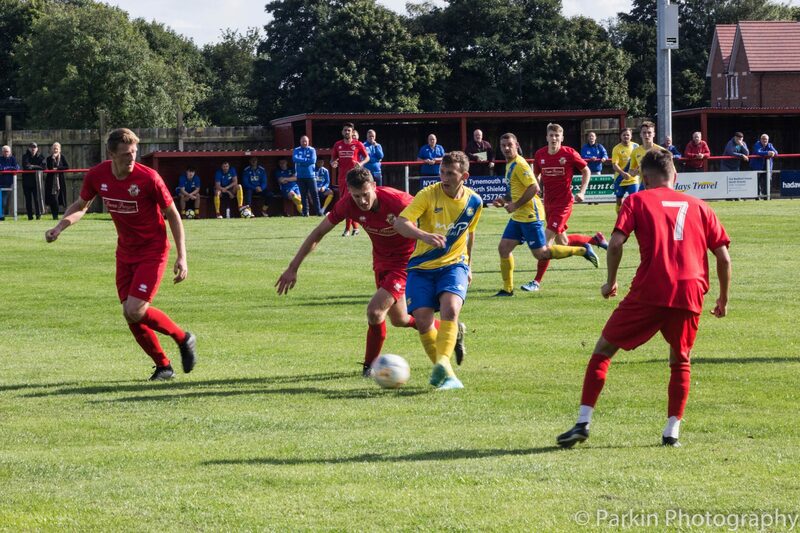 The substitute’s header was on target but hooked off the line by Jordan Summerly as the hosts clung on to their advantage. 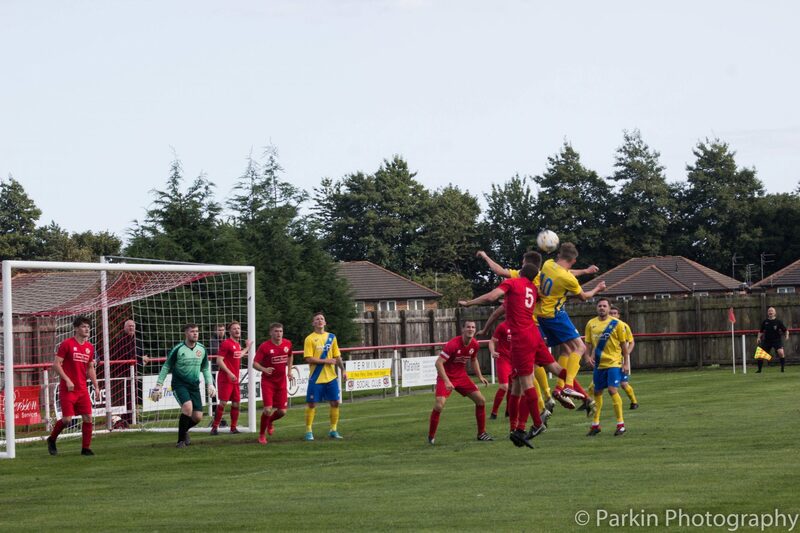 The points would be sealed two minutes later as North Shields scored their third. Robinson’s initial effort wasn’t held by Arthur and in the ensuing scramble, which saw Arthur unable to regather control of the ball, Day managed to squeeze the ball home from a narrow angle. Arthur had denied the forward with a fantastic reflex save low to his right just a minute earlier but Day’s goal put the game out of reach. The Anchors showed the character upon which the squad is built and hauled themselves back into the game in the final minute. Mikey Roberts is proving to be an excellent piece of pre-season business and his goals could prove crucial to any success which falls Stockton’s way this season. He got his fifth goal in as many league games when he chased onto a loose ball and clinically lifted the ball over Purvis. 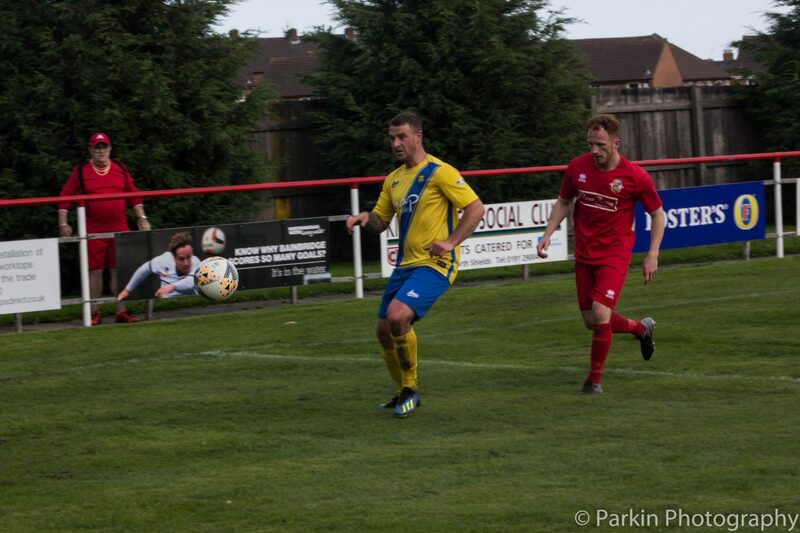 Stockton would press for an equaliser in the closing moments but they had left it too late and the referee’s whistle sealed their first defeat of the league campaign. It was a frustrating afternoon for an Anchors side that were without several key players. They will look back on proceedings and ultimately rue individual mistakes that meant they went back down the A19 empty handed. 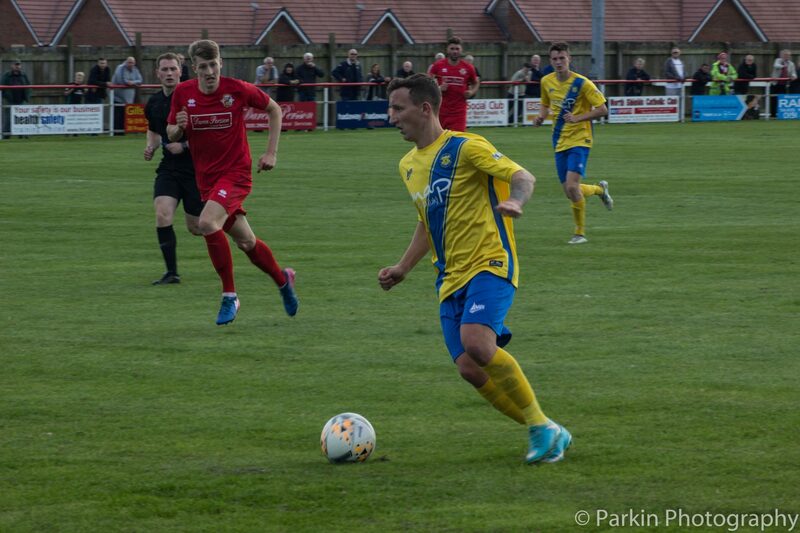 Full Time at the Daren Persson Stadium: North Shields 3-2 Stockton Town. 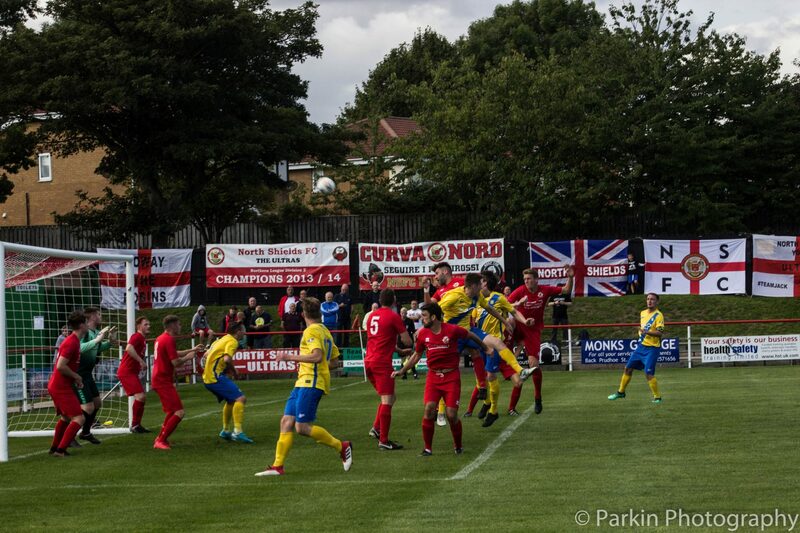 North Shields: (4-4-1-1) Purvis; Donnison, Summers, Hughes, Summerly; Suddick Ormston, Spooner, Robinson; Cooper (Sampson 76’); Day (Campbell 85’). Subs Not Used: Pell, Cunningham, Eastlake. Goals: Cooper 23’, Spooner 38’, Day 82’. 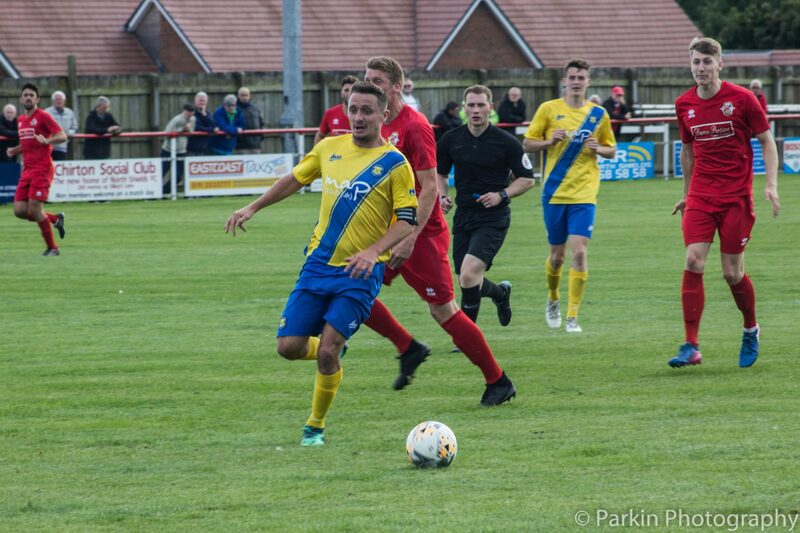 Stockton Town: (3-5-2) Arthur; Craggs, Risbrough, Cossavella; Carter, Ward, Petitjean, Ward, Garbutt (Mulligan 45’), Roberts, Coleman. Subs Not Used: Jordan, Robinson, Dunn.